Shropshire is well supplied with ruined abbeys, but this little one (its full name being the Abbey of Our Lady and St. Chad) has always been my favourite. It stands on a crossing of the River Severn, between Shrewsbury and Ironbridge. 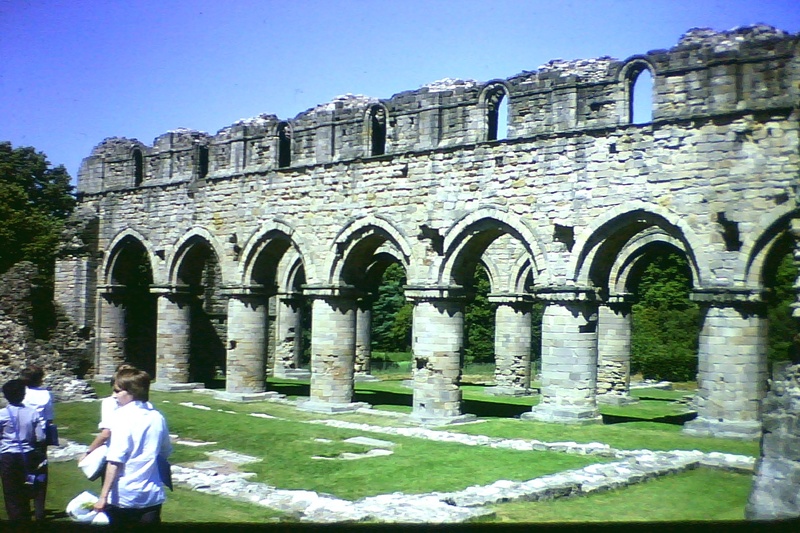 It was founded in 1135 by Bishop Roger de Clinton for monks of the Savignac order, which was merged with the Cistercians soon afterwards. 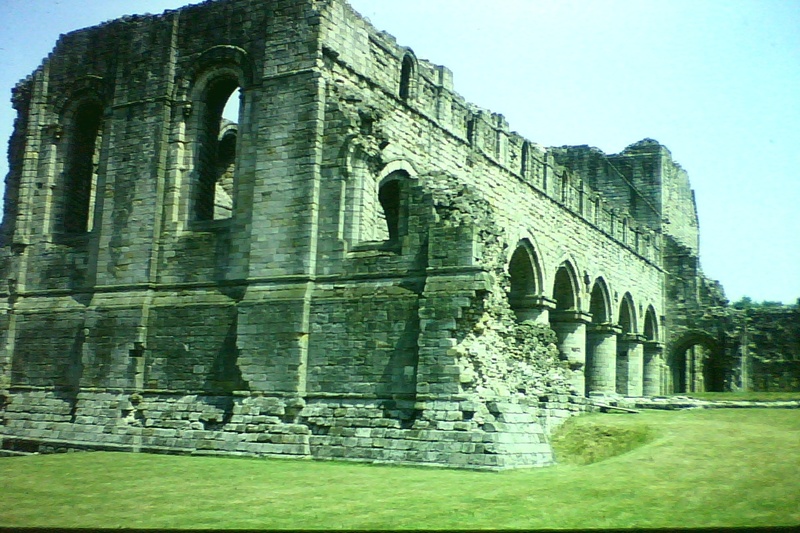 Its history was generally uneventful, though one abbot was murdered in 1342, and another kidnapped by Welsh raiders a few years later; and in 1406 followers of Owain Glyndwr, in rebellion against King Henry IV, ravaged the abbey's lands. Because of the slope of the ground, there is no west door: instead the church is entered from the south. This picture is looking eastwards along the nave of the church towards the presbytery. 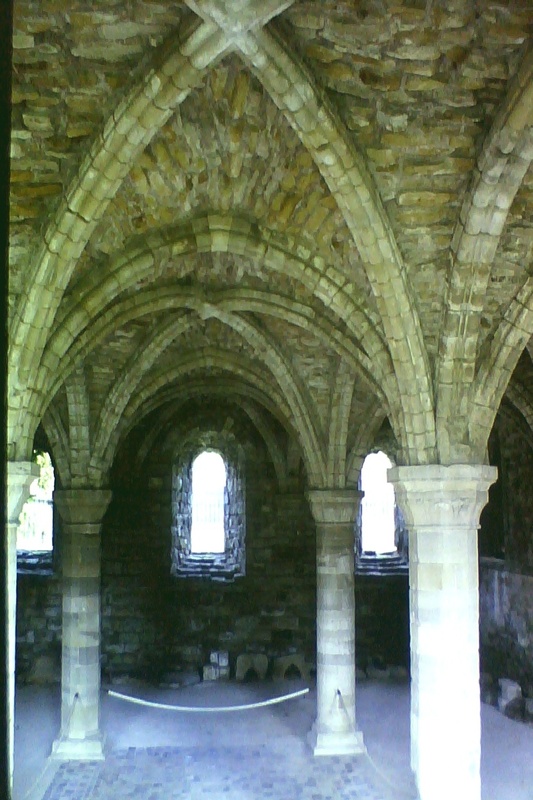 In the north transept there are remains of "night stairs", to enable the monks to come down from their dormitory above the chapter house for night-time services without having to go out of doors! 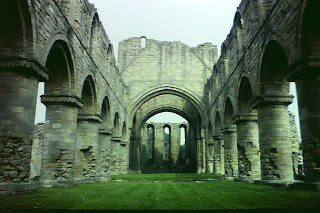 The abbey possessed a number of books, but otherwise was never very large or important. When Henry VIII began his campaign to dissolve all the English monasteries, Buildwas was reported to have only seven monks, and the last abbot, Stephen Greene, wisely surrendered it to the King in 1536. The estate was granted to Edward Grey, Lord Powys. Much building material was removed, and by the 19th century Buildwas was a romantic ruin, overgrown with ivy. It was handed over to the Ministry of Works in 1925 and is now run by English Heritage.